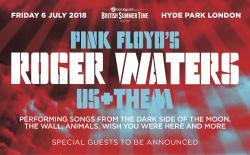 Another day, and another release of some dates on the 2018 Us + Them tour for Europe; today it has been announced that Roger Waters will be performing five shows in the UK, including an open air concert in the heart of the capital, previously the site of Live 8 (amongst other things)...(FURTHER UPDATE) There's also been a Belgian concert announced today, too! The Belgian concert is on sale at 10am CET (local time) on Friday, October 6th, through TeleTicketService.com. The general sale of tickets for the London show go on sale at 9am on Friday, October 6th, through AXS.com who have a range of ticketing options for this outdoor show, depending on what position in the audience area you wish to be in. There's also a couple of presales in operation (including via the event website, and also Amazon Tickets). The rest of the UK shows go on presale Thursday, with the general sale starting on Friday, through Ticketmaster.co.uk. 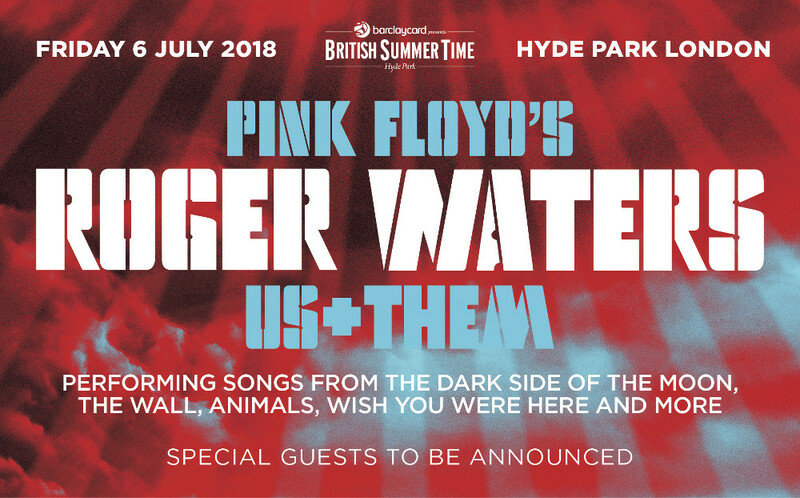 Dedicated pages for each show on the tour are now becoming live, joining the dates already shown in the 2018 Roger Waters tour area. The new dates above are being added and will be ready for use shortly! As the rest of the European tour is announced, a page for every concert will be in place: the place to find out information on each show, and to see, once the concert has taken place, pictures, video and commentary.